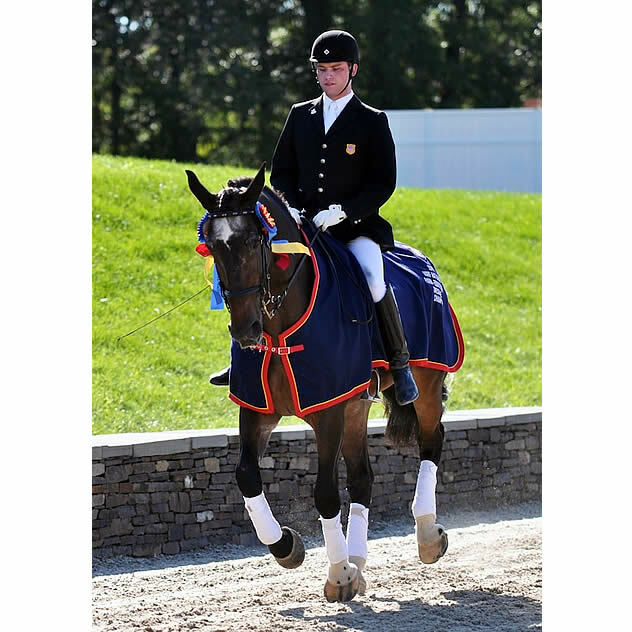 Lexington, KY – The United States Equestrian Federation has named the team for the 2012 Paralympic Games. The four athletes representing the U.S. in London turned heads at the Para-Equestrian Dressage National Championship and Selection Trial held in Gladstone, NJ in June. Reigning USEF National Champion Hart makes her second trip to the Paralympic Games after having represented her country at the 2008 Games. The Grade II rider will utilize the experience that earned her national titles in 2006, 2008, 2009, 2010 and 2012 when she competes in Greenwich Park. Gladstone, NJ – The level of competition was extremely high Monday, as six combinations scored over 70% in the National Para-Equestrian Championships which are being held in conjunction with the USEF Para-Equestrian Dressage Paralympic Selection Trials. So with both a national title and spots to compete in London on the line, all competitors put forth their best efforts. FEI Team Tests were ridden by all 24 combinations in their respective grade, with Donna Ponessa and Western Rose jumping out to an early lead. Ponessa was the final rider of the day with Wesley Dunham’s Western Rose earning a score of 73.725%. The nine-year-old Oldenburg mare demonstrated a solid walk gait, which Ponessa showcased by riding a very accurate 1a Team Test. The New Windsor, NY resident was very pleased with her horse’s effort today but she expects nothing less of the talented mare. 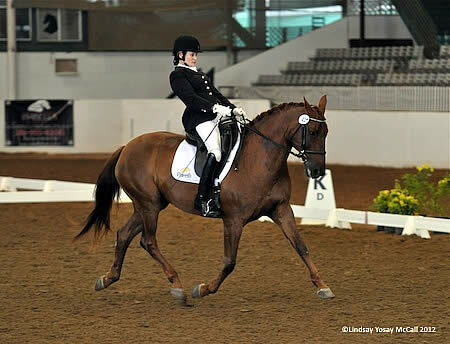 Katy, TX – April 29, 2012 – The final day of the Houston Dressage Society (HDS) Spring Classic I & II CPEDI3* concluded with the Freestyle Test competition and presentation of the Para-Equestrian accolades. The HDS Spring Classic I & II CPEDI3* was sponsored by The COR Group and ran concurrently with the CDI3* and CDI1* sponsored by the North Texas Equestrian Center. Over three days Para-Dressage athletes from the United States and Canada displayed dynamite FEI Para-Dressage Tests in front of international judges Kathy Amos-Jacob (FRA), David Schmutz (USA), Kristi Wysocki (USA), and Carlos Lopes (POR). Lauren Barwick (CAN) of Reddick, FL obtained the HDS Spring Classic I & II CPEDI3* Champion High Point Award and the Arbor Gate CPEDI3* award for the highest average score across the Team, Individual, and Freestyle Tests. Donna Ponessa (USA) garnered the Reserve Champion High Point Award for her stellar performance over the weekend. 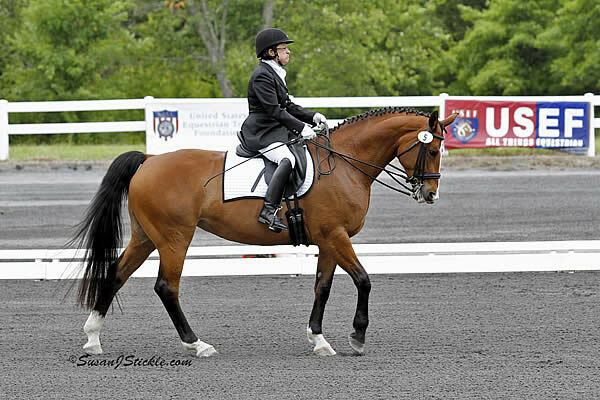 For the United States, the HDS CPEDI3* was the last individual qualifier before the United States Equestrian Federation (USEF) 2012 London Paralympics Selection Trials in June. 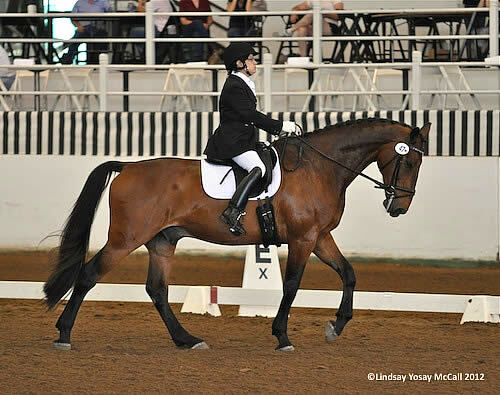 Katy, TX – April 28, 2012 – Once again the Houston Dressage Society (HDS) hosted an exceptional CPEDI3* Saturday. For United States individuals, it was the last international competition to qualify for the 2012 USEF Paralympics Selection Trials. Under Ring One at the Great Southwest Equestrian Center Para-Equestrians from the United States and Canada competed under the watchful eye of judges Kathy Amos-Jacob (FRA), Kristi Wysocki (USA), and Carlos Lopes (POR). The HDS Spring Classic CPEDI3* will continue through Sunday, April 29 and is sponsored by The COR Group. With the Team Test on Friday and the Individual Test completed on Saturday, Para-Dressage riders will be able to relax and enjoy their Freestyle Tests on Sunday. In addition to the CPEDI3*, the HDS Spring Classic I & II CDI3* and CDI1*, sponsored by North Texas Equestrian Center, continues through the weekend in addition to the $10,000 HDS Dressage Derby. Earning the top score of the day and sweeping the Grade Ia division was Donna Ponessa (New Windsor, NY) and Dr. Michele Miles’ horse Silvano. In Grade Ib, Jonathan Wentz (Wylie, TX) showed two horses to consistent results. Canadian Lauren Barwick (Reddick, FL) once again grabbed the Grade II high score, while Wendy Fryke (Parker, CO) and Lateran claimed Grade III. In Grade IV Jennifer Baker (Loveland, OH) and Rondo Del Rey, owned by Kathy Jones, claimed the top position. Mexico City, Mexico – November 15, 2011 – Sitting aboard a horse with unbelievable mountain views from all angles in a brand new facility was what eighteen para-equestrians experienced at the most recent CPEDI3* event. The red carpet was rolled out for United States Para-Equestrian Team at the 2011 CPEDI3* in Mexico City, Mexico at Rancho San Juan. Eighteen Para-Equestrians competed under five stringent judges for their respective country November 10-12, 2011. The five countries represented were Mexico, United States, Venezuela, Norway, and Argentina. The United States Team included Chef d’Equipe Kai Handt, Para-Equestrian Donna Ponessa (Grade Ia), Jonathan Wentz (Grade Ib), and Dale Dedrick (Grade III) who gave flawless interpretations of their tests to take home the Team Gold for the United States. This competition was unique because they did not ride their own mounts, each of the para-equestrians rode a horse that was graciously donated by The Mexico Para-Equestrian Team. The United States Para-Equestrian Team rode horses donated by The Baitenmanns (Erica Baitenmann is a Mexico Para-Equestrian rider). Besides earning the Team Gold the United States Para-Equestrians excelled individually as well. Donna Ponessa of New Windsor, NY captured gold medals in Grade Ia Freestyle, Individual, and Team competition while riding Gecko, USEF 2011 Para-Equestrian Dressage National Champion Jonathan Wentz from Tyler, TX also earned three gold medals in each Grade Ib test aboard Ariello, Grade II rider, Dale Dedrick from Ann Arbor, MI earned the Silver Medal on Bruno in Mexico City rounding out a spectacular weekend for the United States.